Does anyone know the S5 R2 Release date?!?! I dying here!!! I've watched season 4 about five times already! This is learing patience at best! "If you fall of a mountain, you might as well try to fly"
Re: Does anyone know the S5 R2 Release date?!?! In the great R2 tradition, probably ages. Looks like we're getting movies first anyway. I think that S5 R2 release would be near christmas.. So, B5 movie box is coming out in R1 area before we even get S5 here... Anyway, S5 will be my last R2 B5 purchase, after that I will be R1 whore. That's it, I'm buying a regionfree player. "If you fall off a mountain you might as well try to fly"
Kiva nähdä että täällä käy suomalaisia! Oon huomannu että oot aika aktiivinen käviä täällä. Am so glad I bought a regionfree dvd-player .. more flexibility, less waiting for releases .. I've watched season 4 about five times already! This is learing patience at best! If that's a test of patience, then test me God! 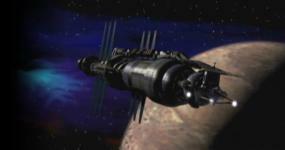 I had a B5 marathon about a month ago, and even watched some of the episodes several times. A waste of time, but a good waste. BTW: Norwegian guy here! Hallo svensker, dansker, islendinger og finner! Talkin about marathons...I had 3 day maratohon with my friend. We watched the first three seasons....all most straight and with whole lot of cola and chips Of course the girlfriend department was bit damaged 'coz of this wonderful idea. After 15 hours straight everything starts to get "slightly" hilarious. After 20 hours everytime we saw Londo come up, we busted out laughing like hell. We must have looked like two escaped mental patients. Don't try this at home boys and girls! "If you fall off a mountain, you might as well try to fly"